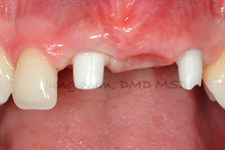 This young patient lost his teeth due to complications from the previous trauma. 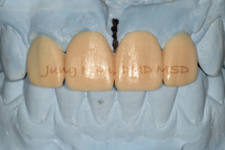 Implants were placed on teeth # 8 & 10. 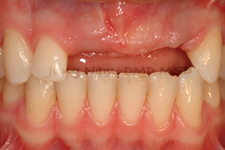 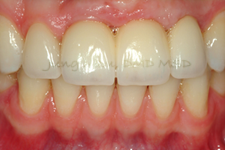 Porcelain laminate veneer was bonded on tooth #7, and all-ceramic bridge (#8-10) with customized tooth-colored abutments were placed on implants.